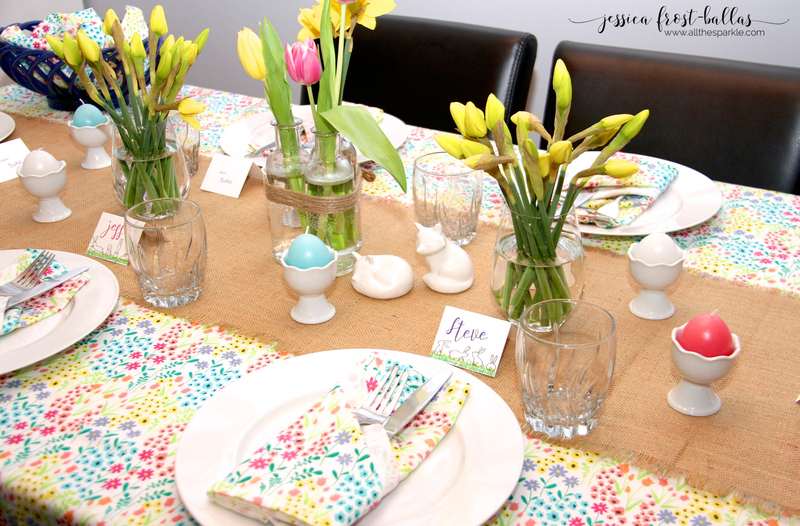 So here’s the final stop on the craft room tour! You can find the first two posts here and here! We’re picking up at the Expedit shelving unit. I purchased the 4×4 unit. It was not the most enjoyable piece of IKEA furniture to assemble but it was well worth it. I also purchased several IKEA Kassett boxes. They give you a lot of flexibility in storage. I’m not 100% set on the set-up of the storage boxes yet but this works for now. On the left I have my Display Dynamics paper trays. They hold 12″ by 12″ paper and I like that they’re lipless so it’s easy to pull paper in and out. In the bottom left square I store my paper pads. When I first started crafting I didn’t realize that there was a huge crafting world outside of Michael’s and JoAnn’s so I bought a lot of patterned pads when they were on sale. I don’t really use them for card-making but often I find a coordinating patterned paper that I can use for an envelope or envelope liner. 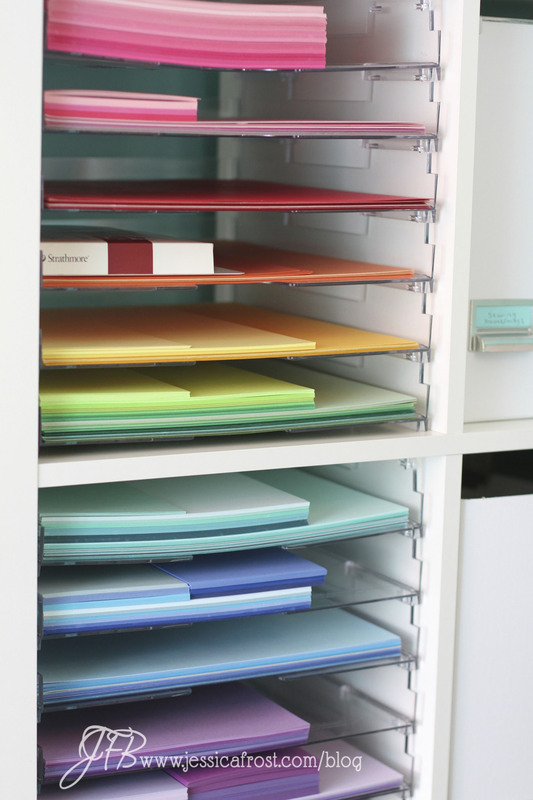 I also like looking at the papers for color scheme ideas. There’s also a hoard of paint swatches that I picked up last year during the house-building process…I have plans for those, eventually. In the second column I have a few magazine racks that hold books on various crafting topics. The large boxes each hold contents for various scrapbooks that I’m in the process of putting together. One is for our wedding, another is a pet scrapbook, and the third is from our Mediterranean cruise in 2012. Obviously, when those scrapbooks are (finally) complete I will be able to use those boxes for other things. The third column has basic card-making supplies that don’t fit anywhere else, more books, and my Cuttlebug and embossing folders. The beige bin was purchased from Target and has flexible dividers inside. There’s a square for the embossing folders and plates. I also store my heat gun and EK Tools circle cutter inside. On the side of the box I have my glass cutting plate, a stamping mat, and a mat for my Sew Easy piercer. 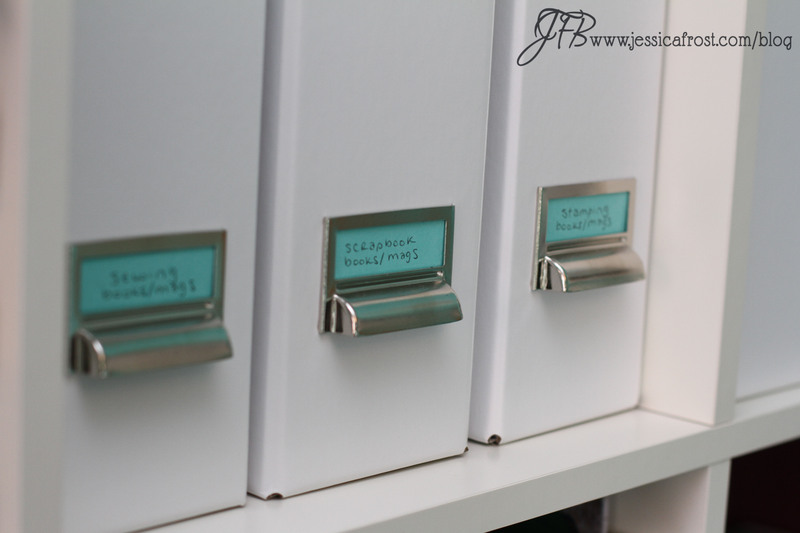 In the last column I have my ribbon storage, my laminator, and additional crafting supplies. The gray slide-out box in the second row holds finished cards. The large box on the bottom holds all of my glues and adhesives. On top of the Expedit I store some of my special stamping supplies. 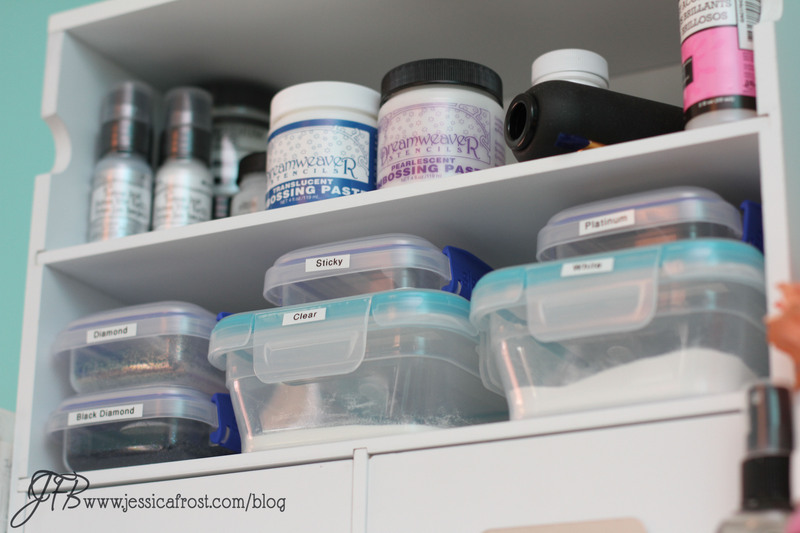 I keep my most commonly used embossing powders and glitters in larger plastic containers for ease of use (another tip via Jennifer McGuire!) on the bottom shelf. The top shelf holds random supplies like embossing paste, glossy accents, frisket, and my Ranger marker airbrush. I love the colored cardstocks! I used to use vertical cropper hoppers and these are SO much easier to use. I highly recommend the Kassett boxes. They’re well made, study, and fairly inexpensive. I also like that they come with a handle and built in label. Moving along, there’s my pegboard! In general my husband and I are not terribly handy people…especially when it comes to power tools. This pegboard installation was quite a challenge; however, it taught us a lot. We were much more comfortable with our studfinder, drill, electric screwdriver, and level by the time we were done with it. This is another area where I’m still deciding how I like everything organized. 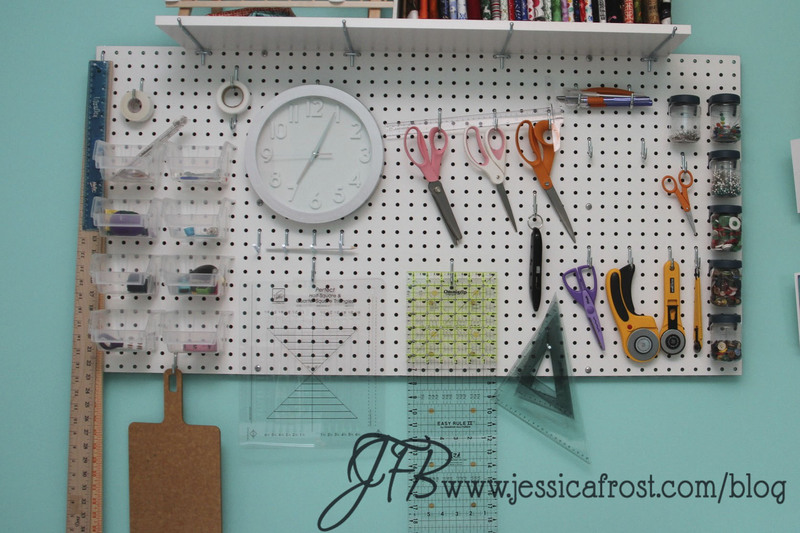 The pegboard houses my scissors, cutters, rulers, and all of my sewing/fabric supplies. 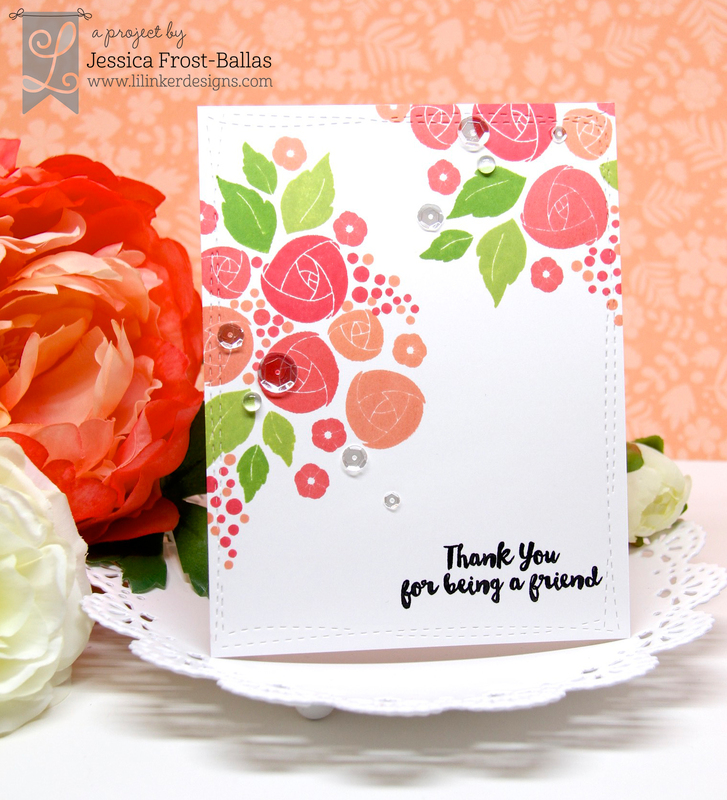 As I’ve worked in my craft room mostly making cards I’ve gotten a good feel for the layout that I prefer for card-making. I feel like as I do more with my sewing machine and scrapbooking I’ll be able to make more decisions for the rest of the room’s organization. 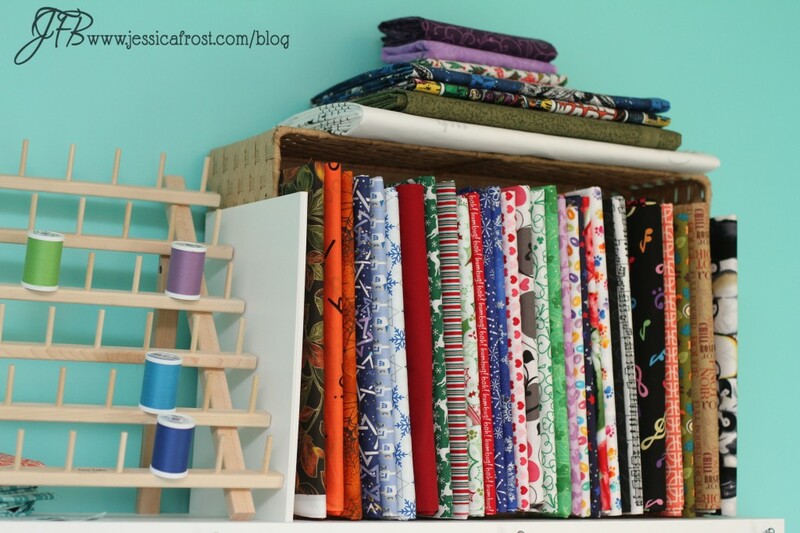 On top of the pegboard I store all of my fabrics generally organized by occasion/season. A few months ago I saw a tutorial on Pinterest that showed how to use comic book boards as mini fabric bolts. As we have plenty of comic book boards in our home I figured I’d give it a try and I definitely recommend it! 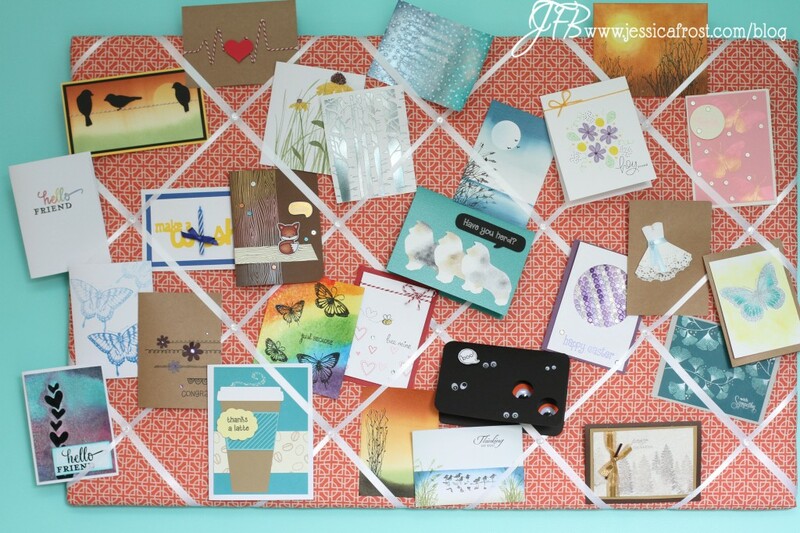 Next to the pegboard is a ribbon bulletin board that I made to display some of my finished cards. I enjoy seeing some of my past creations and it also helps give me ideas for future cards or techniques that I’d like to try again. Finally I have a Sew-Ezi portable sewing machine table for my little Singer sewing machine. It was a hand-me-down from a student and all I needed to do was purchase an insert custom-designed for my machine and I was good to go. It’s light and easy to move around. 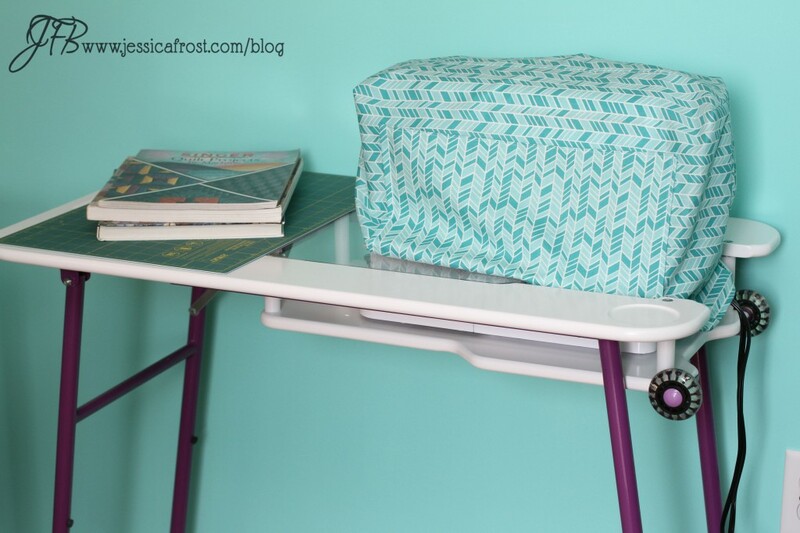 I hope to try out a few sewing machine projects before the end of the summer. So that’s pretty much it! The only thing I didn’t photograph was my center worktable. I keep my Fiskars Procision paper trimmer, my scoring board, and my large self-healing rotary mat on the top of the table. My iron and extra canvasses are stored on the shelves below the table. I also have a folding ironing board that is attached to the back of the door. Thanks for touring my craft room! I hope it gives you some ideas or inspiration for your own crafting spaces! 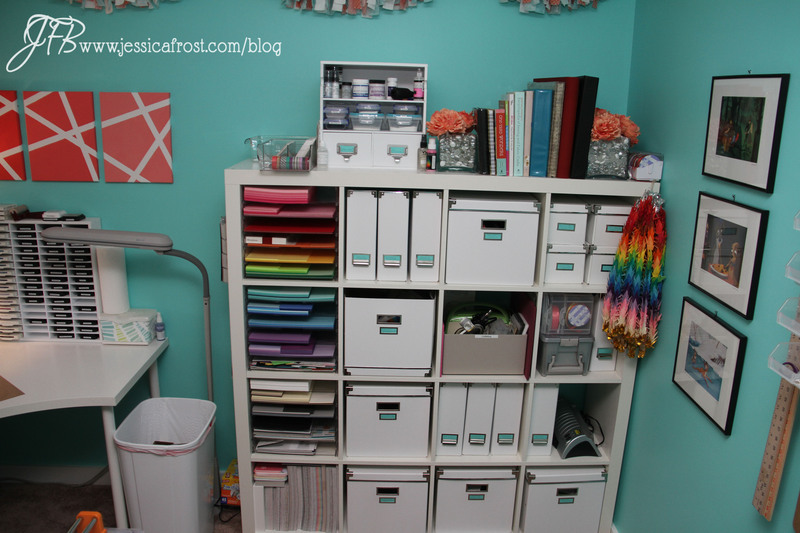 You have one of the most amazing craft room I’ve seen. It’s so organized and I can imagine how much fun it must be to create in this space. Thanks for sharing. Love it!